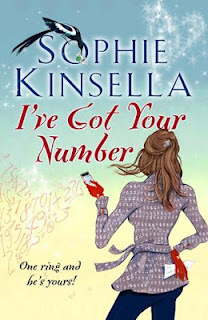 If you've read any of Sophie Kinsella's other books, it's likely that you'll recognise the same traits in Poppy as you would expect to find in Kinsella's other protagonists. Poppy is a professional young woman with a heart of gold who tends to put that heart first instead of her head. The result is a series of unexpected, yet self-provoked, incidents with the undeniable ability to make a person cringe! And cringe I did, especially at the beginning! I found Poppy to be very annoying. Not that I was surprised by this – Kinsella's characters all have a tendency to test my patience at some point. What I didn't like about Poppy were the people-pleasing aspects of her personality which tended to get her into large muddles with those around her. The only person she didn't seem all that interested in pleasing was Sam, the owner of the mobile phone she finds in a hotel lobby bin. But, the story really grew on me. After I got past my initial hang-ups and became used to Poppy, I began to accept her. The best thing about the book was seeing her relationship with Sam grow, and observing all the ways they end up helping each other. Also, Kinsella's writing is still on top form here. I really admire that certain cinematic flow her books seem to have; as if you can imagine them being played out on screen with little adaptation. I've Got Your Number is a very clever story, and once you get past all those initial annoyances it's easy to enjoy. Definitely worth a read! Like what you've heard? Get your copy at The Book Depository.